Following up the success of One For The Road, Mike Torres releases the trailer for, Nights & Weekends, his latest video based in New York City. Just like One For The Road, Nights & Weekends will be having a theatrical premiere at Anthology Film Archives. “The team that brought you One For The Road joined forces again in 2017. Nights & Weekends is a documentation of rollerblading in the streets of NYC, filmed by Mike Torres & Augusto Castillo. This 30 minute video stars Justin Brasco, Augusto Castillo, Mike Torres, Grant Hazelton, Tadd Labozzetta, and Alex Ryerson. It also features Chris Santiago, Ariel Surun, Eddie Chung, Ian Copp, and many other bladers in the NYC scene” – Mike Torres. Nights & Weekends will premiere at Anthology Film Archives in NYC on 4/14/18, and will be available on Sellfy immediately following the event. To pre-order your tickets to the premiere, visit the eventbrite link. 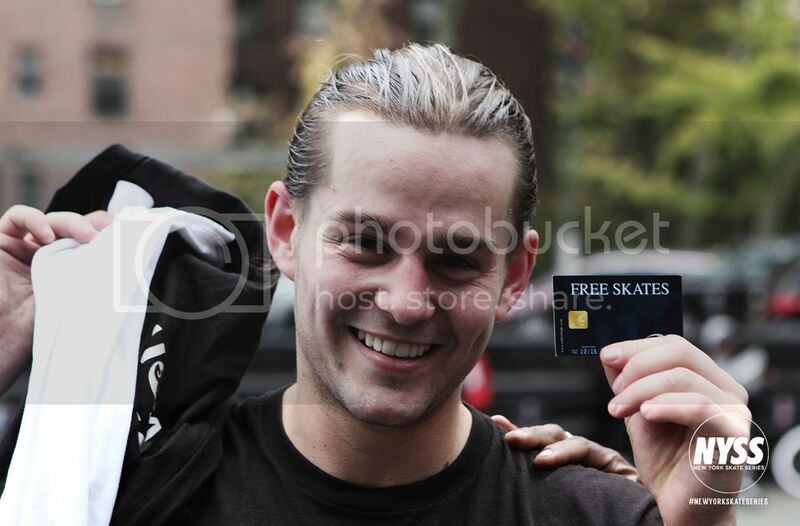 In October 2017 ONE magazine spent a single afternoon in Manhattan skating with Austin Paz, Ariel Surun and Abdiel Colberg. This is a look at that session and the spirit of blading in the city. ” – One Blade Mag. 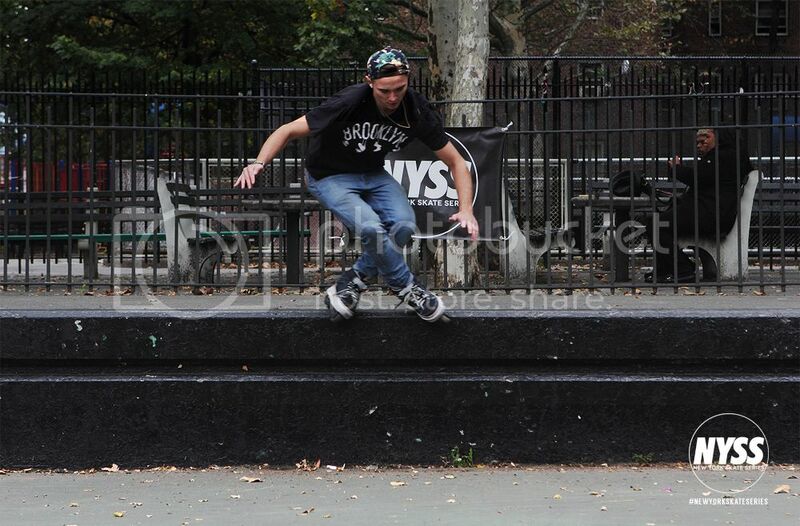 Check the latest from Ariel Surun skating at the Golconda Skatepark in Brooklyn, NY. Filmed / edited by Augusto Castillo. Ghetto Community wraps up the first half of 2017 with this montage featuring footage from the streets of NYC, Oil City skatepark, and the second annual Boschi Pope Skate Off. “This is a video compilation of Instagram videos I filmed, just recycling these clips to let other people who don’t have Instagram of what went down in NYC in 2017!! Featuring Jordan Baez, Billy O’Niell, Boschi Pope, Ryan Many, Pablo Munoz, Christian Brito, Andy “Crack” Feliciano, Chris Dejesus, Jesus Medina, Malik Ashby, Adonis Taylor, Kris Craig, Jon Cooley, Montre Livingston, Jeph Mateo, Augusto Castillio, Sean Grossman, Tadd Labozzetta, Brian Tokin, Ariel Surun, Evan Grimball, and Brian Freeman” – Ghetto Community. ButterTV drops an extended look into last year’s Boschi Pope skate off, “With the amount of footage from the 2016 event–it was hard to squeeze it all into one video. So, as promised, here is the BPSO 2.0 edit. And if you haven’t already watched the first video make sure to check it out” – ButterTV. See ButterTV’s first edit of the BPSO 2016 here. Featuring Ariel Surun, Nick Fatato, Joey Lunger, Taylor Kobryn, Trent Nichols, Pablo Munoz, Austin Croteau, and Steve Nichols. Filmed and edited by Augusto Castillo. Featuring Nate Moore, Klemen Pataniev, Eddie Chung, Mike Torres, Ian Copp, Augusto Castillo, Alex Ryerson, Tadd Labozzetta, Ariel Surun, and Austin Croteau. Filmed / Edited by Augusto Castillo. The New York Skate Series hosted their fourth event of the year proving that they are a force to be reckoned with in the New York skate scene. Saturday, October 24th, the NYSS Harlem Jam Session took place at the Abraham Lincoln Playground sponsored by Rollerblade. I Roll NY was lucky enough to attend and photograph the jam session. With the 30 minute jam session coming to a close, the NYSS judges opened up a five minute heat between the top skaters Phil Weaver, Zach Cramer, Chino Sin, Kris Craig, Andy Bonder, and James Perez to determine who would take home the free skate voucher provided by Rollerblade. It was a difficult decision, but Zach Cramer was chosen as the 1st place winner with Andy Bonder as the runner up and winner of the bonus prize, a Rollerblade skate back pack. Check out all the photos of the jam session featuring the top skaters and more below. Homies section from Deals. Featuring Ryan Rasmussen, Ariel Surun, Kyle Sola, Hector Gonzalez, Geoff Levy, Justin Brasco, Sal Zaso, Robert Guerrero, Augusto Castillo, Sean Grossman, Nate Moore, Matthias St. John, and Robbie Pitts. Main Camera – Christian Delfino. Cut – Christian Delfino w/ help from Alex Ryerson & Tadd Labozzetta. Super 8 Footage – Nate Moore. Additional Camera – Sean Grossman + Alex Ryerson + Nate Moore + Tadd Labozzetta + Cory Cross + Justin Marquis + Joey Scannellan. Featuring Osbel Velez, Joey Scannella, Gian Scannella, Chantz Powell, Pablo Munoz, Austin Croteau, Austin Paz, Ariel Surun, Sam Grimm, Justin Brasco, Chauncey Jenkins, Hector Gonzalez, Sal Zaso, Steve Nichols, Alex Karayannis, Phil Weaver, and Jon Ortiz.